Make your own shoes! These comfy and cute espadrille shoes are ridiculously cute and you can make them yourselves. How cool is that? Come to class ready to learn how to work with interfacing, how to shape fabric into shoes and how to create an even blanket stitch. 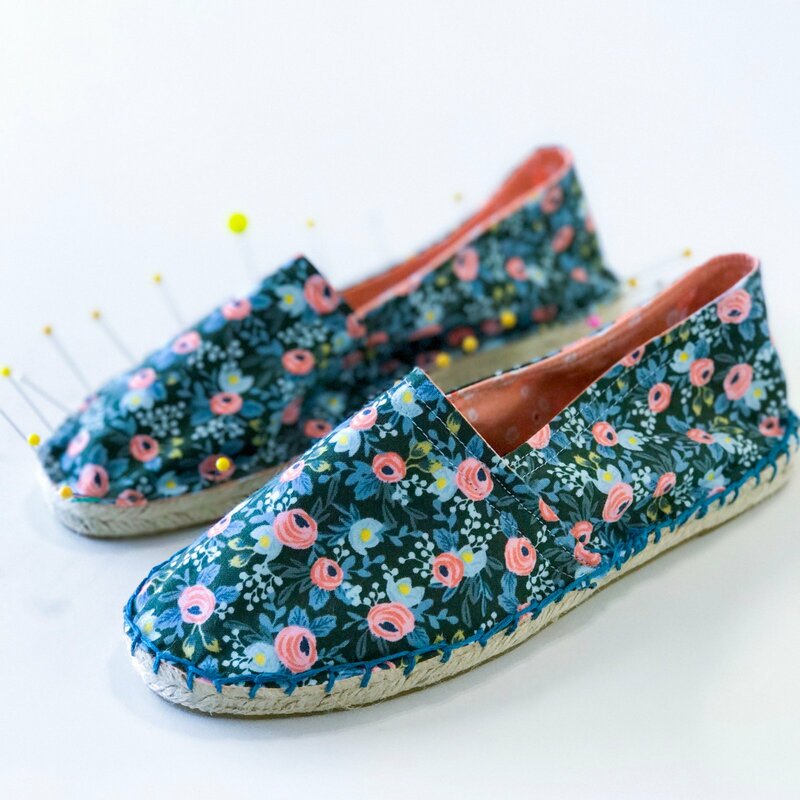 All supplies are available for purchase in our shop, we have also created an Espadrille Kit, with all of the necessities and that is for purchase in our shop! If purchasing materials the day of the class, please arrive at least 20 minutes prior to the start time.